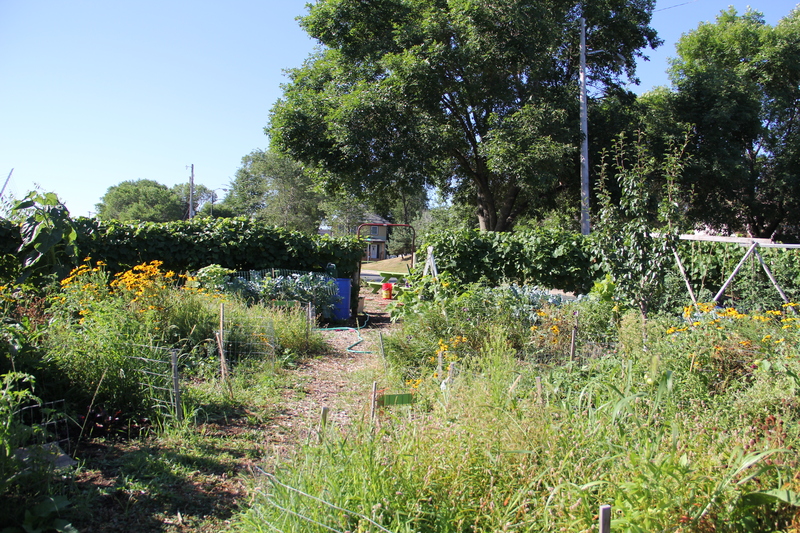 Nestled up against the Hiawatha Ave sound wall in a Minneapolis neighborhood famous for it Native American residents, the Little Earth Urban farm is giving housing projects residents the opportunity to get their hands in the soil and produce food the way their grandparents did. In the state of Minnesota, there are eleven reservations: seven Anishinaabe (also known as Chippewa, Ojibwe) reservations and four Dakota (Sioux) communities The Twin Cities of Minneapolis and St. Paul are located in between these reservations, and are home to a large and tribally diverse American Indian population, numbering well over 35,000 in the metro areas. Federal government sponsored urban relocation programs for Indians in the 1950’s encouraged some of the migration to urban centers like the Twin Cities, as well as Native people looking for education and employment opportunities. According to Census Bureau data released last year, more than 7 in 10 American Indians and Alaska Natives now live in a metropolitan area, compared with 45 percent in 1970 and 8 percent in 1940. 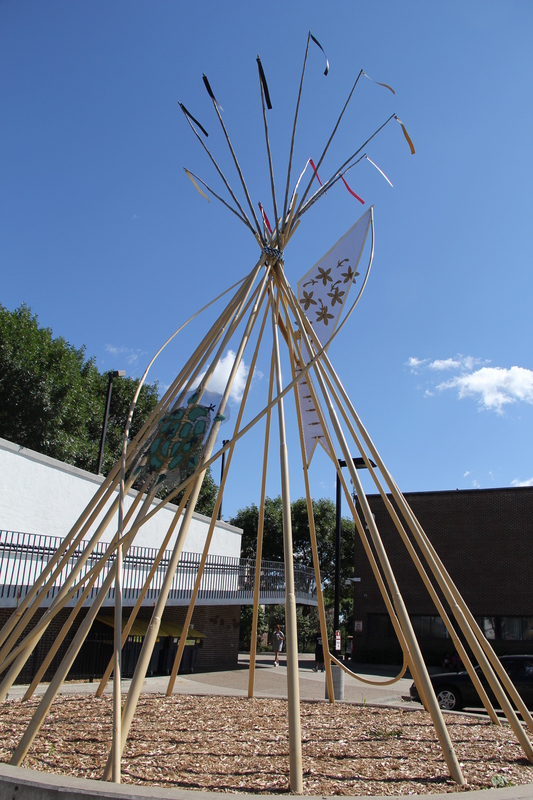 In Minneapolis, American Indians make up about 2% of the total population. In the Twin Cities, there are social services and legal and job-training programs specifically focused on Indian people, but there are also issues of high unemployment, violence, and drug and alcohol abuse. A local institution geared towards assisting American Indians is Little Earth of United Tribes, the nation’s only section-8 public housing project that gives American Indian preference. Little Earth is a 9.4 acre 212-unit HUD subsidized housing complex, founded in 1973 that current houses about 400 adults and 800 children, according to Darlene Fairbanks, Little Earth’s resident advocate. Residents include Native Americans from 32 different tribes, 65% of whom are on public assistance. Currently 98% of the families and individuals are very low income with a median income of $8,500 and 47% of heads of household are unemployed. To help address some of these issues, Little Earth provides a wide array of social services, from empowerment counselors, elders programs, a women’s group, drug and sobriety programs, a youth program,and a pre-school. Little Earth is also working on a program that promotes home ownership in houses being built near the complex. In the past decade, they have been working hard to improve the high unemployment rates (over 65%) and prevent the violence and crime this part of the city has been known for. 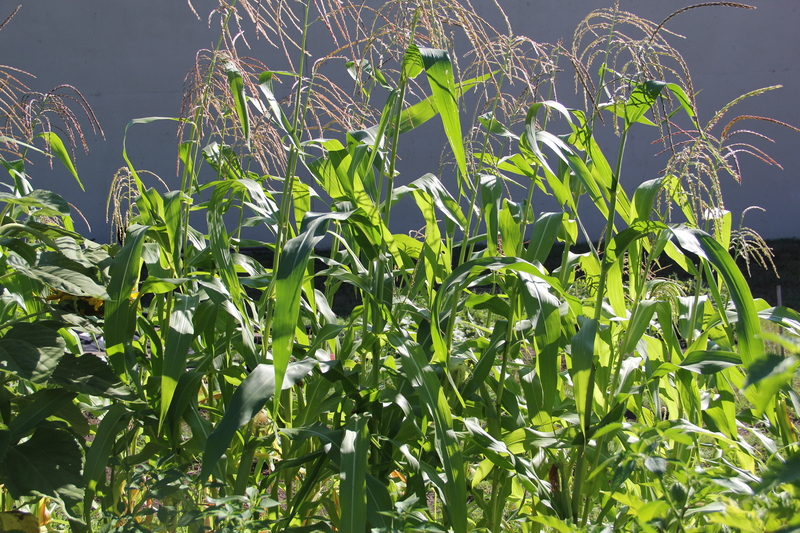 In 2010, Little Earth also decided to establish a garden, in order to provide fresh food to residents. 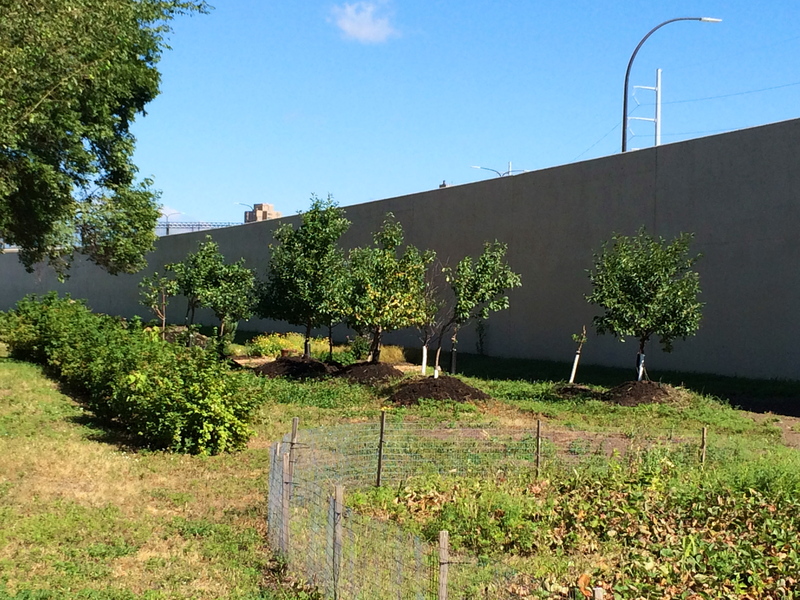 The city of Minneapolis provided Little Earth a strip of land along the Hiawatha Ave sound wall for $1, and permaculture expert Dan Halsey created the design for a beautiful mandala garden. Through a series of community events that began on Earth Day, they brought Dan’s design to life. 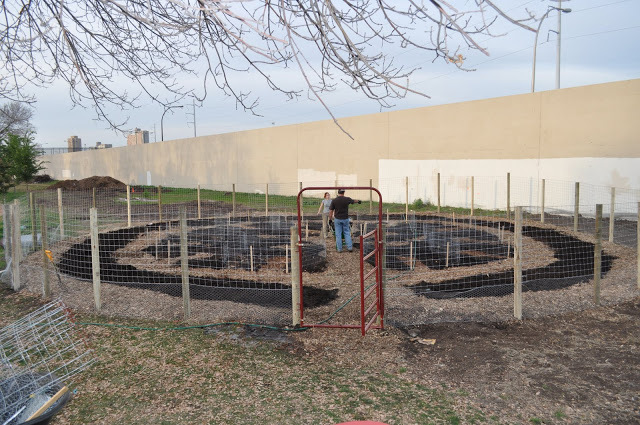 Because the soil has not been tested for contaminants, they have avoided digging into the dirt by placing layers of woodchips and compost, donated by the Shakopee Mdewakanton Organics Recycling Facility and planting in that instead. 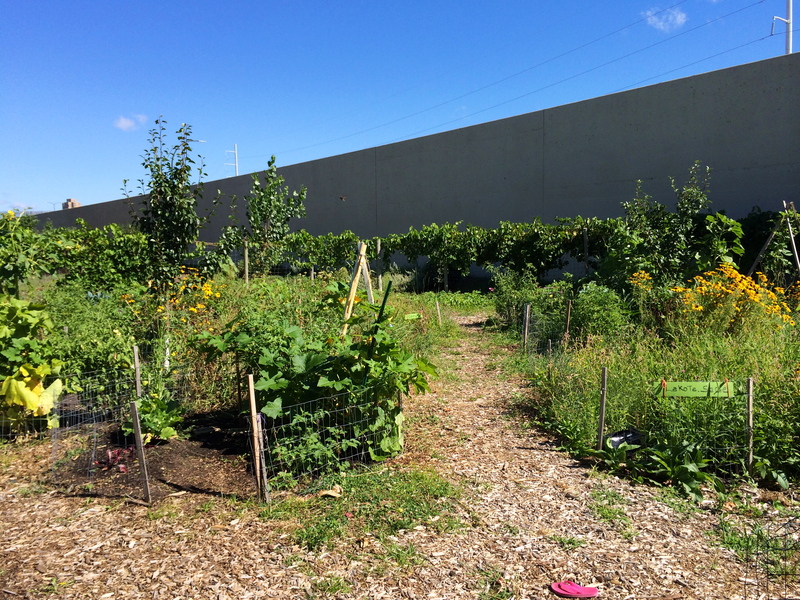 Outside of the mandala garden is a small orchard of apple, pear and cherry trees, a berry patch, an herb garden shaped like a turtle, a corn patch, and other patches of medicinal plants like sweet grass, sage, calendula, echinacea and comfrey. Little Earth hired three farmers this past summer, who were paid to work 25 hours a week watering and tending to the garden. 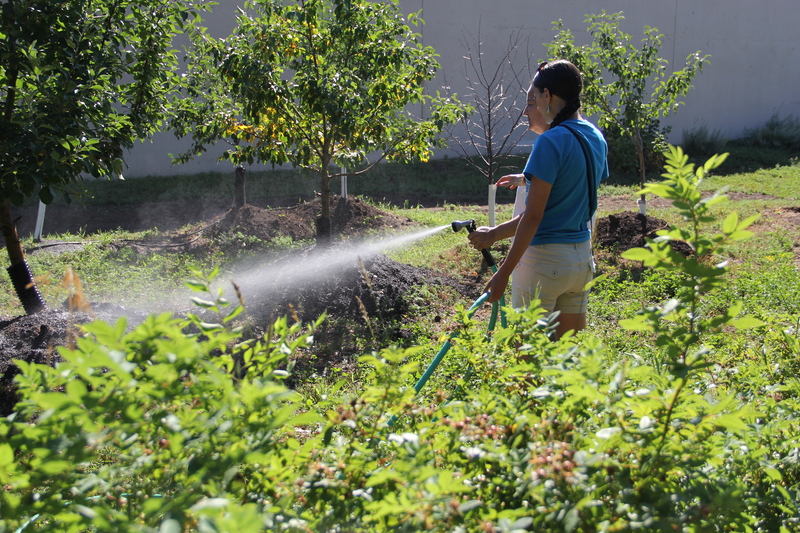 On August 12, we had the opportunity to visit with Annette, one of the gardeners while she dragged a series of hoses from one end of the property to the next, ensuring that everything got watered. 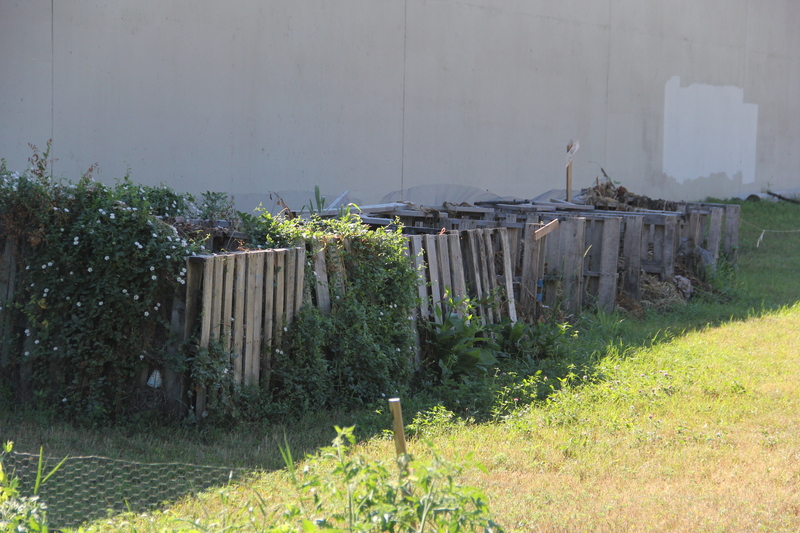 Because the garden site is open, and located directly behind the housing complex, vandalism has been a challenge. Annette pointed out that there were no apples or pears left on the trees, even though they hadn’t had the chance to ripen, because the kids had pulled them off. The kids also ripped branches off the trees, and tore the greenhouse plastic. Annette explained that the kids are not malicious, just bored, and so they plan on creating a children’s garden next year, which might help the young people to become more invested in taking care of the garden and protecting it from vandalism. 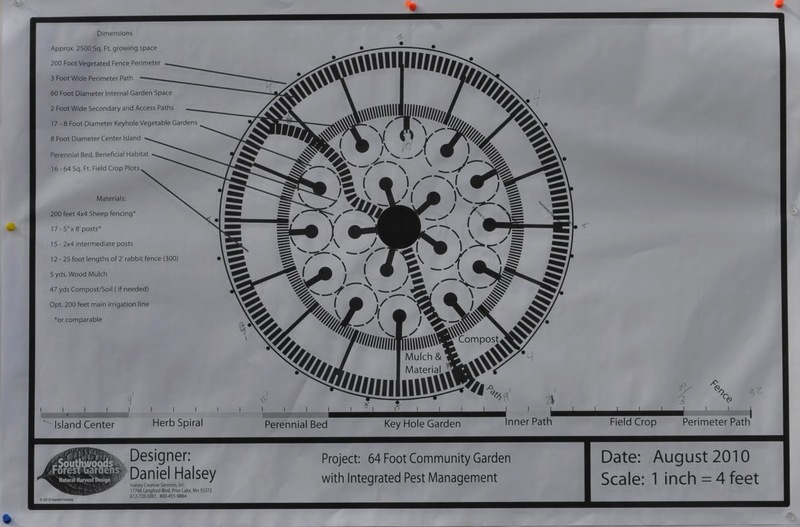 Darlene is also working to have lighting installed around the garden, which will also provide greater security at night. 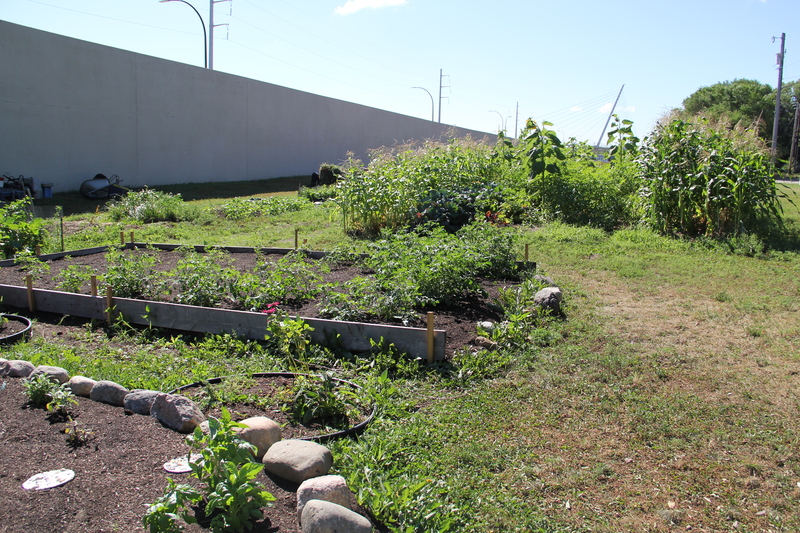 Funding for the garden comes from a Minnesota SHIP (Statewide Health Improvement Program) grant , as well as from the Shakopee Mdewakanton Sioux tribe. 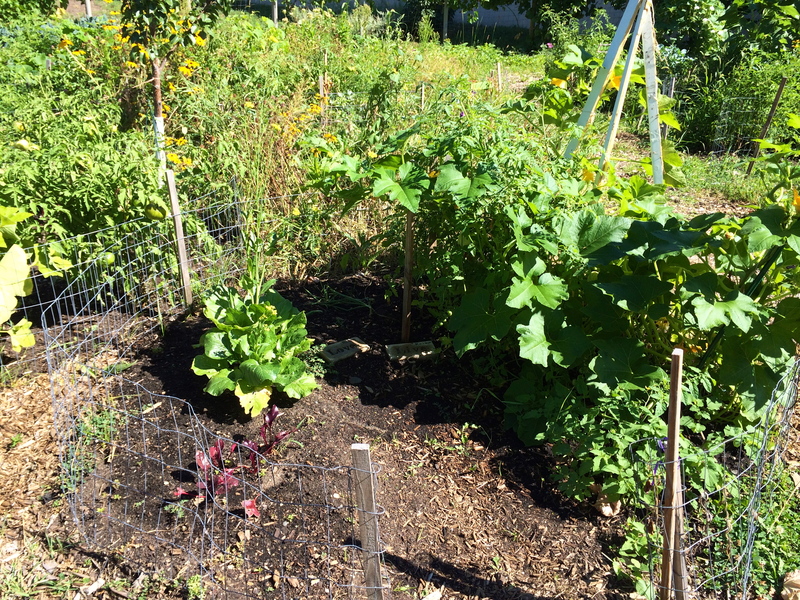 In the coming year, the program hopes to produce enough vegetables to sell a few, to put some money back into the program. Seedlings for the garden are provided by Karen Clark’s Women’s Environmental Institute (also one of the sponsors for the Mahkiikii Gitigan garden). 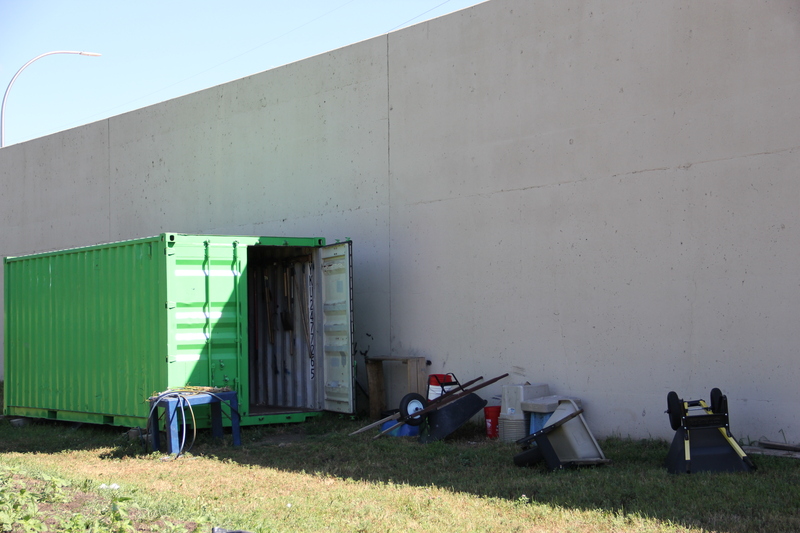 Next year Little Earth will be constructing a new 12×12 foot greenhouse, with the help of Youth Builds, and will then start their seedlings in there. 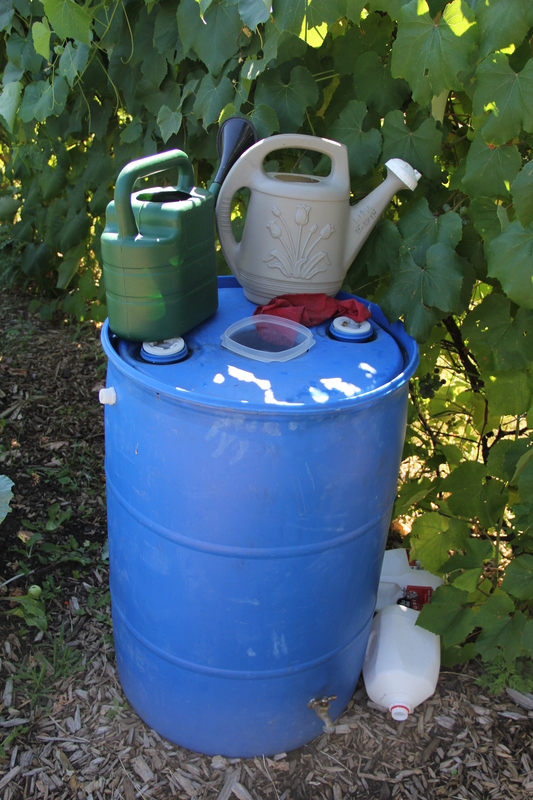 Despite challenges faced by the garden, they have been successful in producing a number of crops—broccoli, tomatillos, cucumbers, strawberries, melons, beets, onions and tomatoes, just to name a few. 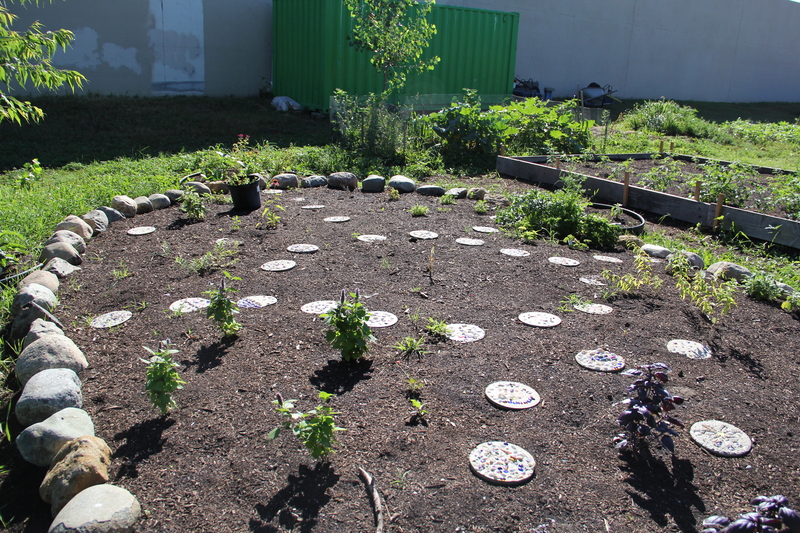 Each of the “keyhole gardens” inside the mandala garden was selected by a Little Earth resident, who then decided what to plant there and tends to it. 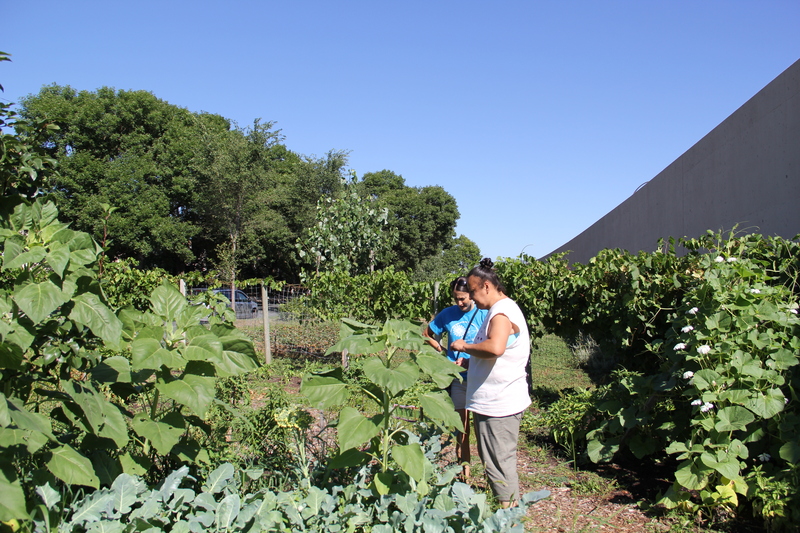 Other produce from the garden is used in programming–for example, Darlene has a women’s group once a week where they learn how to make different dishes from garden produce. She described how at the beginning of the summer all the women claimed to hate beets, but she got them all to like beet salad. Darlene also takes them to shop at the farmers’ market in Midtown Minneapolis on Thursdays. The City of Minneapolis has a program where they will double the value of EBT money spent at farmers markets, giving $5 for every $5 of EBT money spent. 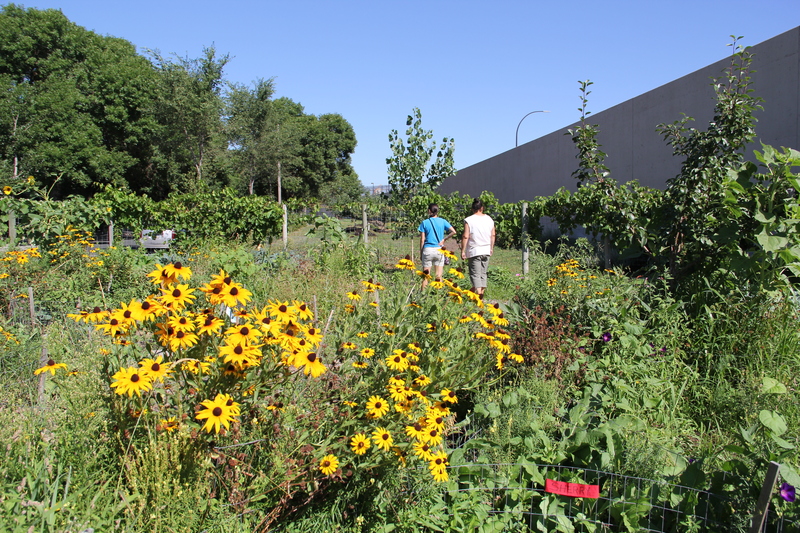 The Little Earth Urban Farm has faced many of the challenges of an urban garden, but continues to provide employment and fresh food to the housing project’s Native residents. 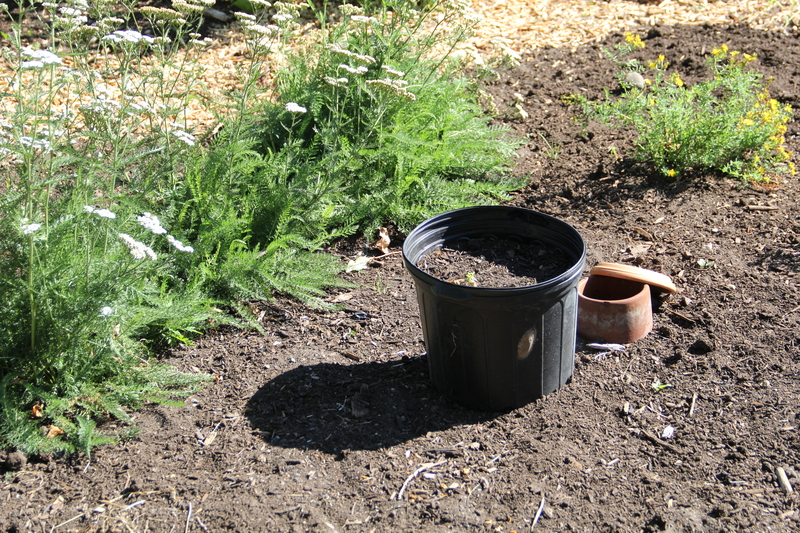 Annette described how her grandmother had a garden like this– tending to the Little Earth garden helps her to remember what that was like. 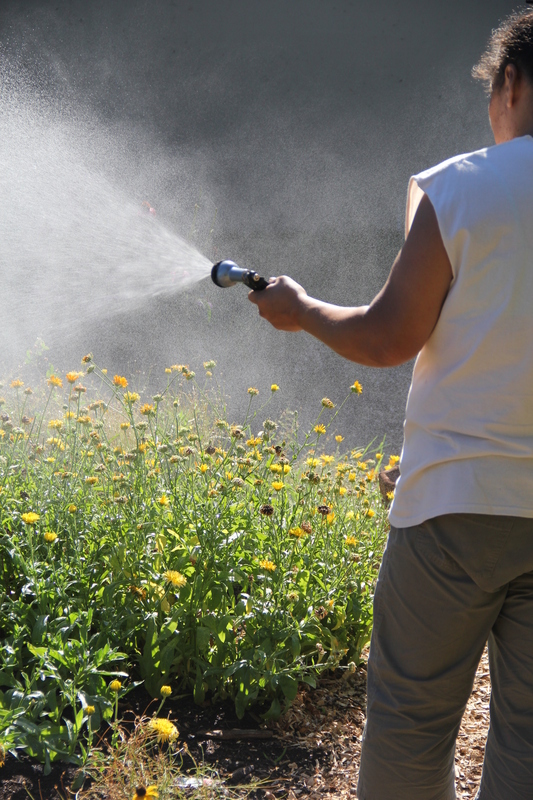 Some of the gardeners who have close connections to their home reservations have similar memories and experiences. For others whose families have lived in the city for generations, this is a new opportunity to work with the land, and harvest fresh food. My friend is coming to Minneapolis shortly. Can you please let me know where she can purchase organic medicine garden seeds? Sage ect. Miigwetch!